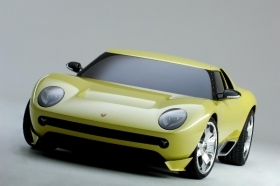 De' Silva could return Porsche styling to a classic, clean design seen on the Lamborghini Miura, design critic Paolo Tuminelli believes. Volkswagen Group design director Walter de' Silva hopes to add "something positive" to the design of Porsche's new models, beginning with the Cajun SUV. Porsche AG is set to become Volkswagen AG's 10th brand and Porsche design director Michael Mauer now reports to de' Silva, along with the heads of the styling centers of the other VW group brands such as Skoda, Seat, Bentley and Lamborghini. De' Silva said he has just started working with Mauer and their relationship is off to a good start. "I really hope to be able to add something positive to Porsche's new models, which will remain coherent with the great tradition of Porsche,” de' Silva said in an interview at the Paris auto show. The Cajun, which is due in 2014, is part of Porsche's plans to expand its four-model lineup to double unit sales in the medium term to 150,000. The SUV will be a platform sibling to the Audi Q5 and a rival to premium SUVs such as the BMW X3. It will have a shorter wheelbase and lower roofline than the Q5 and will cost between 5 percent and 10 percent more, according to German magazine AutoBild. To prevent the Cajun stealing sales from the Q5 and the larger Porsche Cayenne, the smaller SUV will be sold initially as a two-door like a potential rival, the Range Rover Evoque, AutoBild said. Besides the Cajun, Porsche is also working on a "baby" Boxster car that is expected to go on sale in 2013 and will be based on one of de' Silva's pet projects, the VW BlueSport, which was shown as a concept at the 2009 Detroit auto show. VW is planning three BlueSport-inspired vehicles based on a new mid-engine platform for Audi, VW and Porsche. De' Silva did not elaborate on how he will influence Porsche design. The styling of the Porsche Cayenne and new Panamera sedan has met with criticism in some quarters. Paolo Tuminelli, CEO of Goodbrands GMBH, a brand and marketing consultancy based in Cologne, Germany, said the styling of the recently introduced second-generation Cayenne and Panamera "confused and vulgarized" Porsche's image. Tuminelli said de' Silva's taste for balanced proportions, simplicity and fine detail execution will be a plus for Porsche. In a 38-year automotive career,De' Silva has designed classic cars such as the Alfa 156, 147 and GTV. 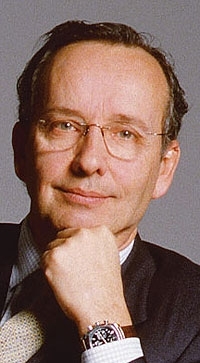 De' Silva, 59, has been VW group design director since February 2007. In a 38-year automotive career, the Italian native has designed classic cars such as the Alfa Romeo 156 sedan, the 147 hatchback and GTV coupe. VW Chairman Ferdinand Piech personally recruited de' Silva from Alfa Romeo to VW's Seat unit in 1999 when Piech was VW CEO. De' Silva created a new sporty design for Seat, then did the same at Audi where he devised the premium brand's signature large single-frame grille unveiled on the A6 in 2004.